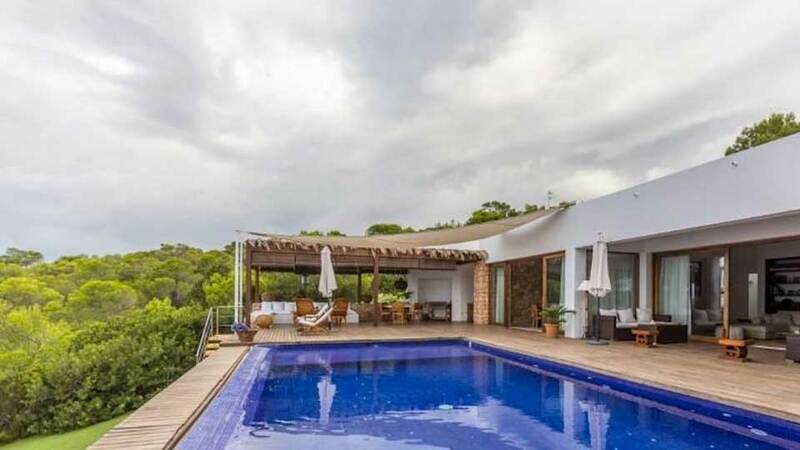 Luxurious modern villa of 400m², located in the countryside, on a plot of 2,500m², between San Agustin and San Antonio. Nice view of the countryside and small sea view, with the Bay of San Antonio in the background. Spacious living room with fireplace, plasma TV, DVD, Sky TV and stereo system with "Bose"
All West coast beaches are within a maximum radius of 15km. Cala Tarida where our local offices are located, is only 10 minutes away by car. San José is 5-10 minutes away. Ibiza town is 25 minutes away by car.